In October 2017 the site The Gateway Pundit reported that the Podesta Group with exact timing somehow managed to file forms with the federal government that were 5 or more years overdue that Paul Manafort was charged for not filing. Cernovich also notes that the Podesta’s filed forms in 2017, more than 5 years after they were due! The Podesta Group was the most influential lobbyist firm in Washington before the election, now they closed their doors – why? Who told the Podesta’s to file forms 5 years after they were due? These forms were filed only weeks before Manafort was arrested by the corrupt Mueller team for the exact same derilection of duty. 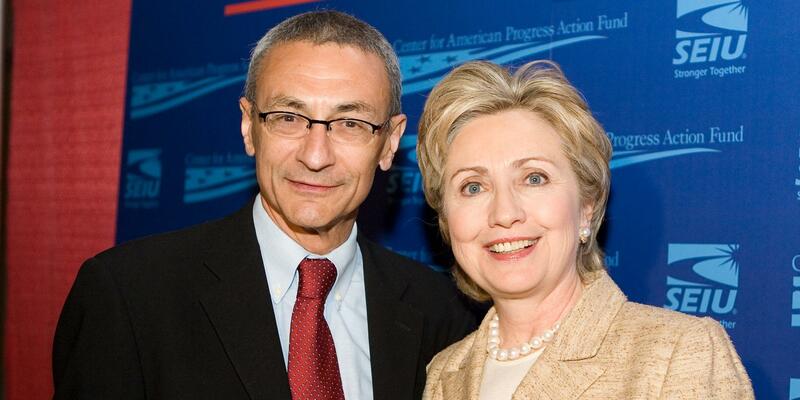 The Podesta’s worked with Manafort – why were they not criminalized as well by the Mueller conspirators? This is just more evidence Mueller and team are crooked and corrupt! Posted in Freedoms and tagged Clinton, Crime.